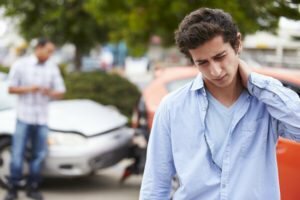 Most people associate car accidents with broken bones and brain injuries, but the emotional trauma of a serious collision can be just as devastating as the physical wounds. 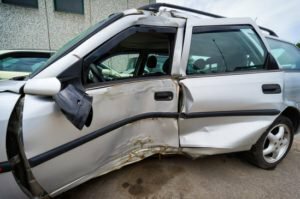 Post-traumatic stress disorder can be debilitating, and car wrecks are the leading cause of PTSD in the United States. PTSD can affect your relationships, career, and enjoyment in life. Many people with PTSD do not seek treatment because they fear the cost; however, you may be able to recover compensation for medical care by filing a personal injury claim. Matt Troutman is an accident lawyer in Lexington who will evaluate your case and help you fight for the maximum compensation to pay for medical bills, lost income, and non-economic damages. Mr. Troutman has been a practicing personal injury attorney since 1986. Call today to schedule a free initial consultation at the Troutman Law Office. Working a job that exposes the person to traumatic events. Being unable to remember details about the crash. Your doctor will most likely prescribe a treatment plan that involves psychotherapy and medication. Psychotherapy for PTSD sufferers usually involves exposure therapy and cognitive behavioral therapy (CBT). Exposure therapy will help you overcome irrational fears by confronting the cause of your PTSD symptoms. CBT will help you identify and change negative thought patterns. Antianxiety medications and antidepressants can treat your PTSD symptoms in the short-term; however, they are not ideal for long-term use because of the potential for addiction and abuse. Under Kentucky law, a personal injury victim can pursue compensation for mental anguish and emotional distress; however, due to the subjective nature of these non-economic damages, it is rarely easy to recover fair compensation. This is where a personal injury attorney can help. Matt Troutman is an accident lawyer in Lexington who will investigate your collision, gather evidence, and help you fight for the maximum settlement. If your case goes to trial, Mr. Troutman has the litigation experience to represent your interests in court. Call today to schedule a free initial consultation.